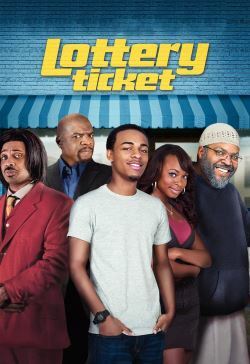 Kevin Carson (Bow Wow) a young man living in the projects, is just an ordinary guy...until he wins $370 million in the Mondo Millions Lottery. That's the good news. The bad news is, the lottery claim office is closed for the long 4th of July weekend, so, before he can collect his prize, Kevin is going to have to figure out how to keep a lid on his good fortune and survive the next three days. As news of his windfall spreads through the community, Kevin quickly discovers the good, the bad and the ugly in his closest friends and neighbors. Girls who could never be bothered before start chasing him down. Everyone wants a piece of him--the reverend, the local loan shark and one very threatening parolee who won't take no for an answer. On edge and on the run, he even begins to question the intentions of his best friend, Benny (Brandon T. Jackson). He also starts to realize the power he holds in his hands and what this lottery ticket could really mean to him, his future, and the community.